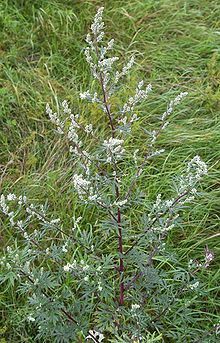 Artemisia Vulgaris, otherwise known as mugwort or common wormwood, is an aromatic, medicinal herb growing to about six feet in high. 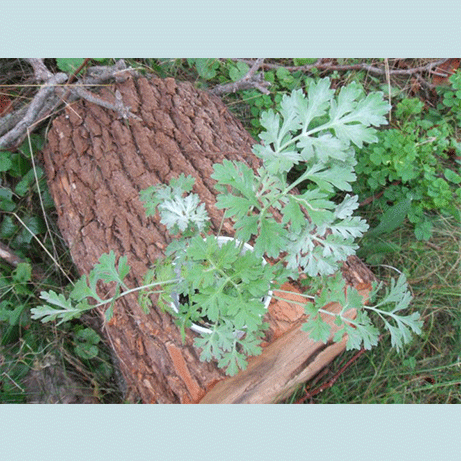 It is similar in appearance to Artemisia Absinthium, although it has black stalks and pointed leaf tips. Like absinthium, vulgaris also contains thujone, so its use should be avoided by pregnant women. Vulgaris is a frost hardy perennial, flowering from July through September. 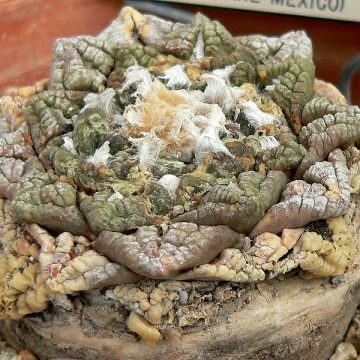 The flowers are hermaphrodite and are pollinated by wind. They attract butterflies but repel insects and moths from your garden. A tea made form the leaves can be reportedly be sprayed and used as an insecticide. Mugwort has been valued in magic as a protective herb since the Middle Ages. 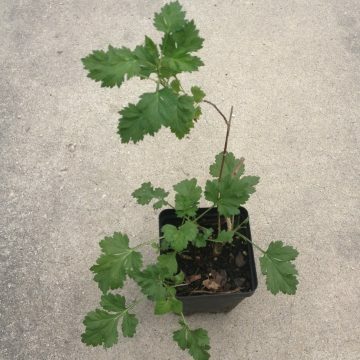 The bitter leaves have been used as a flavoring for meats soups and other dishes. It also played the role of hops in brewing beer before hops took over. In herbal medicine, it is considered a blood cleanser, a digestive stimulant and a strong activator of the nervous system. Chewing the leaves is said to lift fatigue. 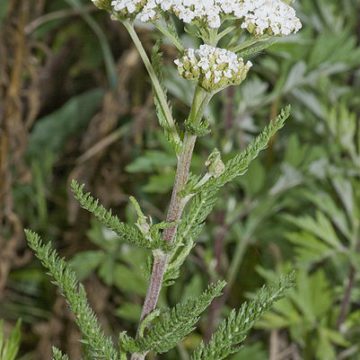 Others have used mugwort as a smoking herb or to make tea. Many have also found that mugwort aids in astral projection and lucid dreaming. Lucid dreaming involves having more “creative” dreams, having more realistic dreams, revisiting dreams, being able to control dreams and being able to recall dreams in greater detail. Silene capensis, calea zacatechichi and entada rheedi are all said to have similar effects on dreaming. 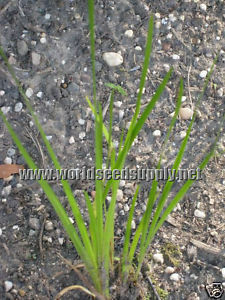 We offer seeds for all of these species as well.